On Monday, January 14, 2019, Sgt. Stanley D. Pegram passed away at his home after a long illness that included many years of chronic, severe pain. After completing Northwest Guilford High School, Stanley joined the US Navy in 1967 and served on the USS Rupertus (DD-851) during the Vietnam War. The USS Rupertus was responsible for naval gunfire supporting the waters of South Vietnam and shore operations. Stanley described this effort during his thirty months at war as unloading their arsenal in three to four days, reloading the arsenal, and returning to gunfire support. In 1968, the USS Rupertus was part of the Apollo 7 recovery team. After this, the USS Rupertus returned for more fire support during the Vietnam War. He was discharged from the Navy in 1973. After several years of being unable to find employment, he enlisted in the US Army and served for another seventeen years. 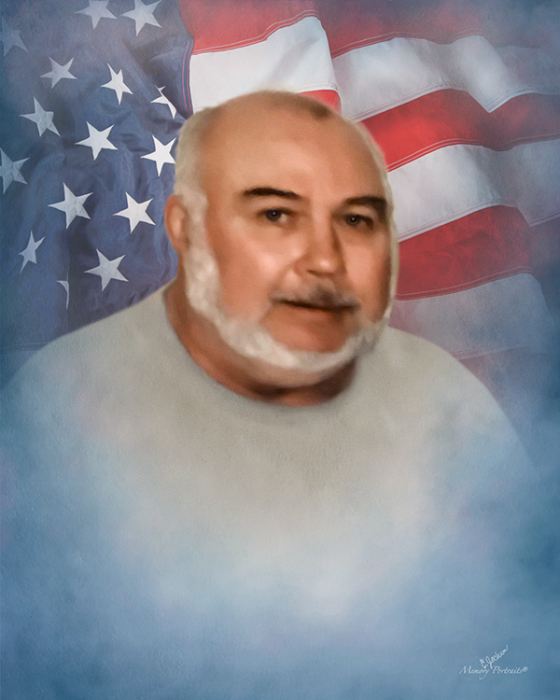 He served at many locations throughout the world as a signal systems and communications security specialist. During his service in the military he received many honors and awards including a Silver Star, Three Bronze Stars, and a Vietnam Gallantry Cross. Stanley was born on June 23, 1948 in Greensboro, NC to Troy L. and Edna Pegram (both deceased) of Northwest Guilford County. He was raised on the family farm—fifteen acres of tobacco, eighty acres of small grains, and fifty beef cows—along with his eight siblings:Doris Baker (deceased), Margaret Shields (deceased), Nancy Cox (Dan), Troy Pegram (Shirley), Raymond Pegram (Leta), Melvin Pegram (Linda), Charles Pegram (Carol), and Mark Pegram (Jill). Stanley was never married. He is survived by fifteen nephews and nieces with another niece and nephew deceased. He has many cousins on both sides of his family. Numerous of Stanley’s family have served the US security effort in many theaters. After he was discharged from the US Army on October 4, 1994, he returned home to take care of his Mother, Edna, for five years until her death. He then moved to Fayetteville, NC where he purchased rental homes to support himself. Stanley loved life and was not a stranger to anyone he met. He loved to fish and hunt. He prided himself in helping others. Whether it was staring down a junk loaded with explosives intent on destroying his ship, surviving the bite of a deadly viper to his face, or speaking truth to a base commander in a request to support the commander’s grandchild during drug recovery, he was brave and kind in all that he did. The funeral with military honors is to be February 16, 2019, 2 PM, Bethel United Methodist Church, 8424 Haw River Rd., Oak Ridge, NC 27310. There will be an inurnment in the church columbarium after the service. The family will then receive friends and family in the fellowship hall. Arrangements are being conducted by George Brothers Funeral Service. In lieu of flowers, please make donations to the Vietnam Veterans Memorial Fund, 202-393-0090, 1235 South Clark Street, Suite 910, Arlington, VA 22202, http ://www.vvmf.org or to Stanley’s ancestral church, Bethel United Methodist Church at the address above.